Book your Beach House, House, Flat or Service Apartment in south Goa with Beachhutbooking.com. 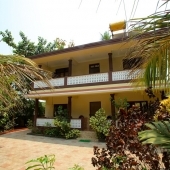 Available for short and long term rentals, houses or flats for rent in south Goa are a great option for large groups, families or couples looking for more luxury, private or traditional Goa accommodation. 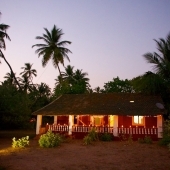 Renting a beach house, house, flat or service apartments in south Goa offers a unique opportunity to experience traditional culture and Goan day-to- day life. From sea side village to more modern living, we offer various types of house, flat and service apartment accommodations in south Goa. Contact our fast & efficient Customer Support Team for rates and more information regarding houses & flats for rent in south Goa. Goa beach resort has now a new alternative, with house owner from all around Goa offering their private living spaces to tourists at season, the types of the houses in Goa, if for a Goa holidays or for full season stay, are now much more then just a hut on the beach, or a fancy AC cottages in Goa, taking a house in Palolem for example can be cost worthy and a very special experience, getting to know the local Goan people the weather and the best time to visit Goa. discover our secrets from Palolem beach India Goa, amazing option for family houses, or vocation apartment, fully furnished, luxurious villas set few meters from the beach, huge garden properties, near Talpona river, or Ragbaj beach. 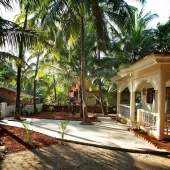 Read our reviews about special beach houses in Agonda beach, villas in Palolem beach in Goa. 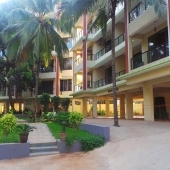 get more familiar with goa house styles, before you come to visit Goa, so you can enjoy the best of Goa houses, in Palolem beach, know just what is the best beach in Goa, what are Goa apartments offering. let beach hut booking help you to prepare your holiday. 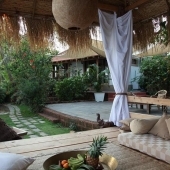 Goa accommodation, or booking a Goa houses in the new age is a job for an experienced internet user, most places out there will have less to offer you in the way of service and approach, most are simply unset to tourist, and given as is. Villas in Goa are rare down south in Canacona region, most of the houses are local houses, built in a Goan style, with tile roof layed on rough red stone, in the last 5 years however we can see many new houses built in a western style reminding of the old Portuguese architecture so common everywhere in Goa. Mostly private houses in Goa are available only after you get to Goa, simply thanks to the fact that house owners lack channels to advertise their properties, the selection we have here are houses we look after and maintain, booking a house in Goa online with us is easy and fast.